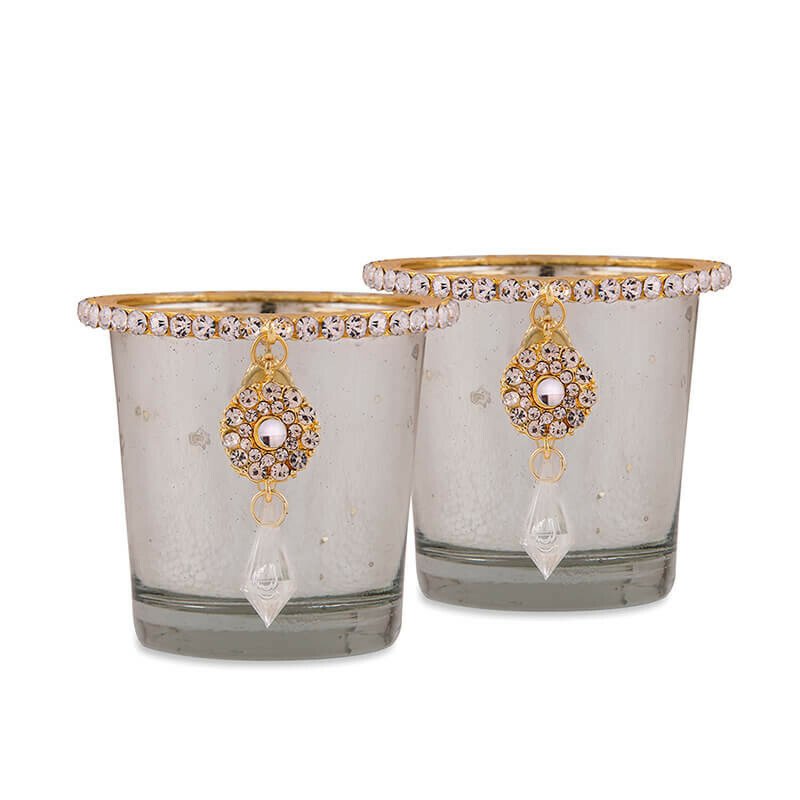 Vintage and beautiful, light up this votive in your home and create an aura of mystique and tranquility. 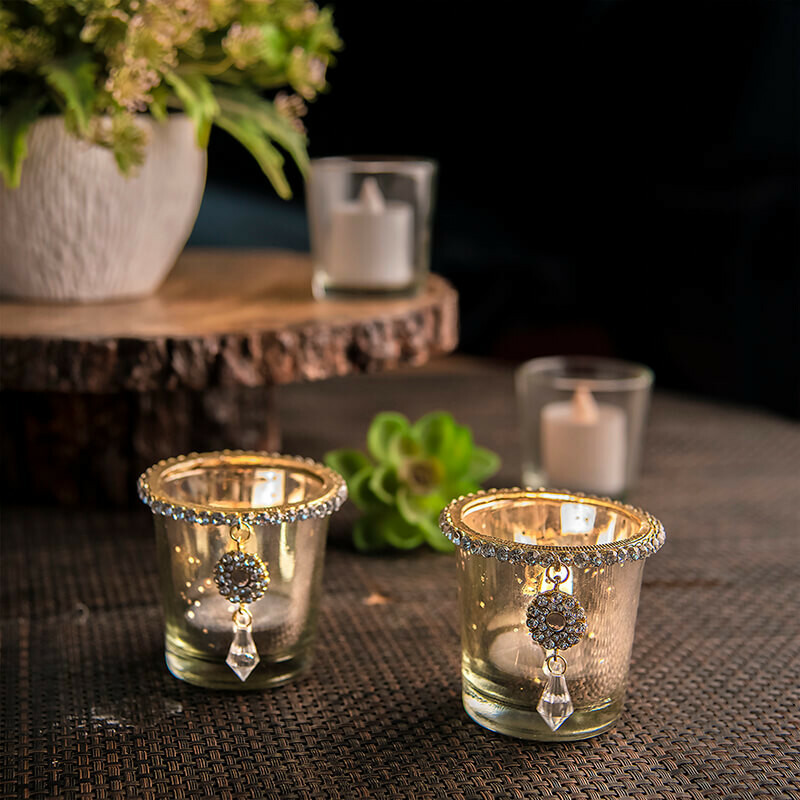 Let the candle flames entice you to another world. 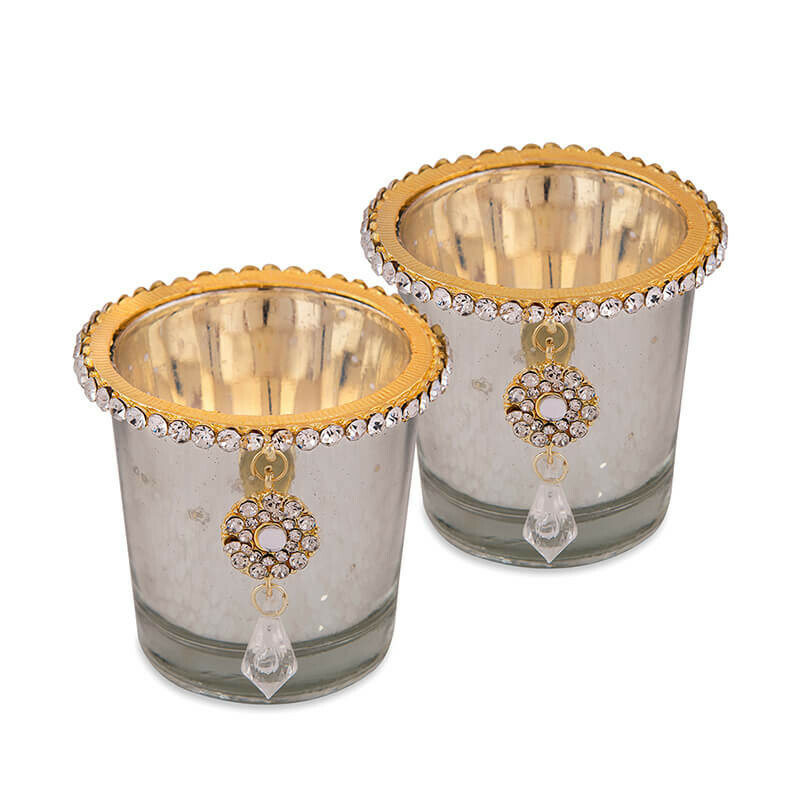 This exclusive Glass Votive, is coated with Silver from inside and Painted externally, giving it regal touch and feel. 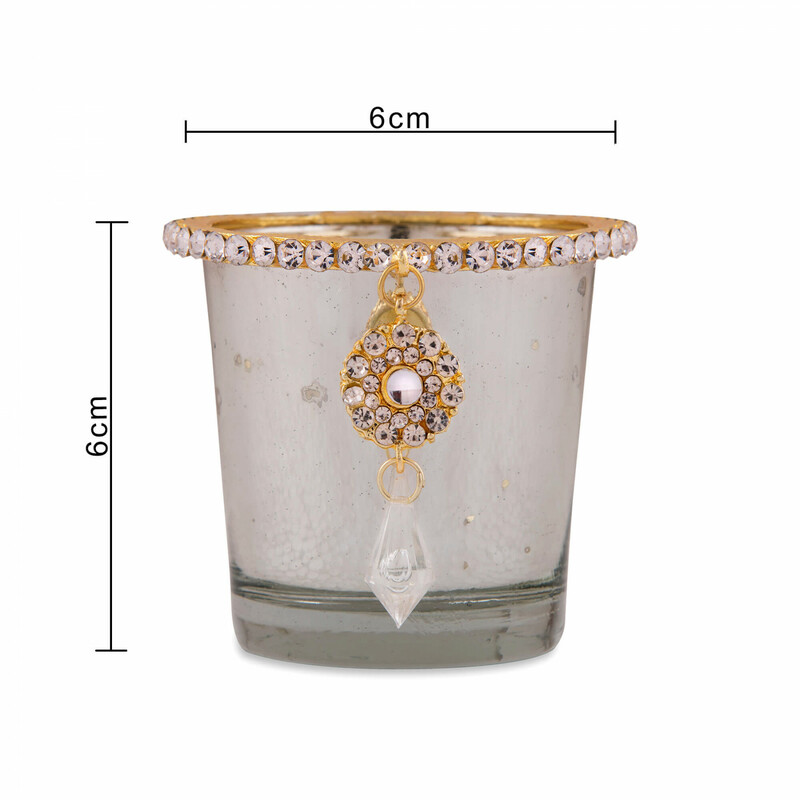 In addition decorated with a Gold plated Jewel Ring and Dangler to enhance its beauty and vintage appeal. Simply light a wax Tea-Light inside, and enjoy the look. For any manufacturing defect or shipment brokerage, we offer replacements. customer@homesake.in, and we will revert right away. Wipe it with soft, clean and damp cloth to remove dirt or stain. In case of water or any other solution spillage, wipe with a dry cloth immediately. Don't use petroleum, thinner or any other solvent for removing the stain, as it might effect the finish of the product. Avoid prolonged exposure excessive hot or cold surroundings or material. This is a handcrafted and hand-carved product, the original design and dimensions may vary slightly from the image. All our product come under Homesake.in Quality Assurance, with stringent quality check at every stage. In case of any other query, call us right away and we will be happy to assist you.